This is not a cute cuddly story of apes. In fact it’s downright heartbreaking and provoking. The question of animal rights will linger long after you have completed the book. The evolutionary chain will be questioned, at least I gave it deep thought after I finished the book. Layla is challenged with this case but her determination and professionalism causes her to forge ahead and she does indeed. Layla and her father have a wonderful relationship. A relationship built on trust, she knows her father is there for her no matter what comes her way. Her warmth is evident with her father as opposed to her frosty professional persona. 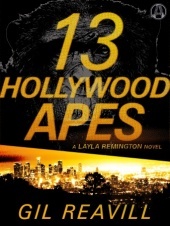 Reavill does a great job intermingling interesting information regarding chimpanzees, classic movies and of course Hollywood as the story unfolds. Opinions regarding animals are peppered throughout the book only increasing the narrative and leaving the reader lost in thought. The narrative moves quickly leaving you questioning what will transpire next. In the end you will be questioning the right of animals. Interesting book, way more than I bargained for in a good way. Gil Reavill is a journalist, screenwriter, and playwright. Widely featured in magazines, Reavill is the author of Mafia Summit: J. Edgar Hoover, the Kennedy Brothers, and the Meeting That Unmasked the Mob, as well as Aftermath, Inc.: Cleaning Up After CSI Goes Home and the screenplay that became the 2006 film Dirty, starring Cuba Gooding, Jr. He lives in New York with his wife, Jean Zimmerman, and their daughter. Thanks for the good words! 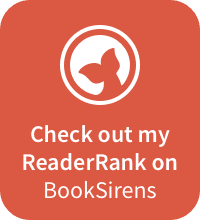 It helps tremendously when a reader such as yourself “gets” what I was attempting to do. Otherwise, you know, us ink-stained wretches are just alone in a room hitting letters on a keyboard. Thanks again! “heartbreaking and provoking” are excellent words to describe this book! I’m glad you can recommend it. Thanks for being a part of the tour.